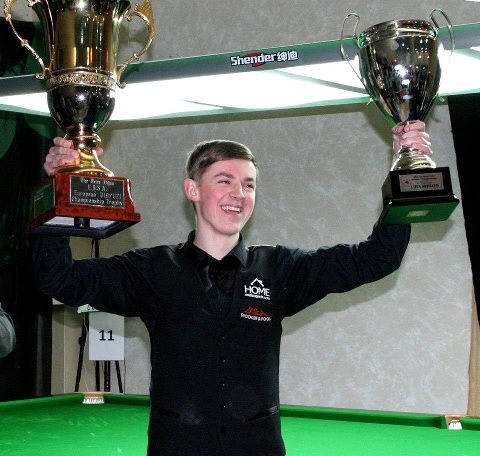 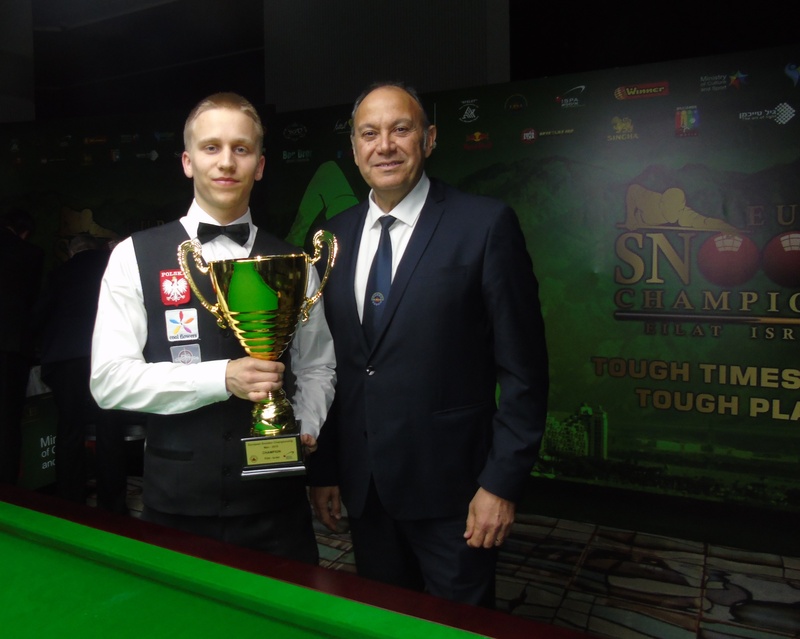 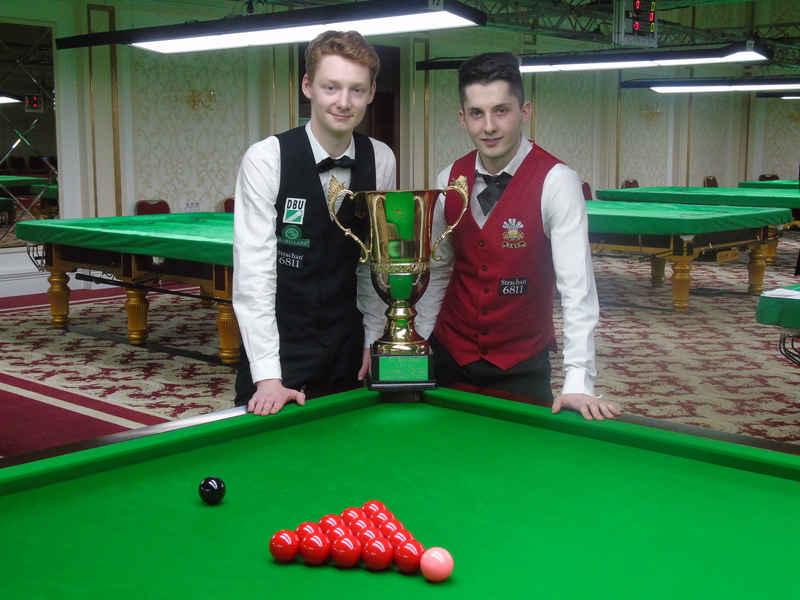 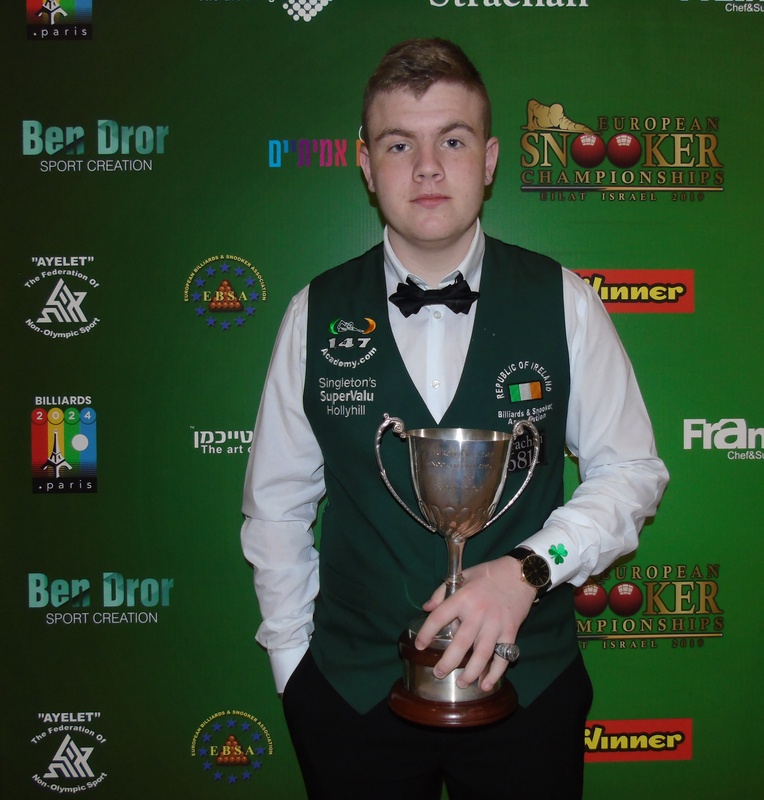 The European U-21 final was an all English affair played between sixteen year old Ashley Carter and seventeen year old James Cahill. 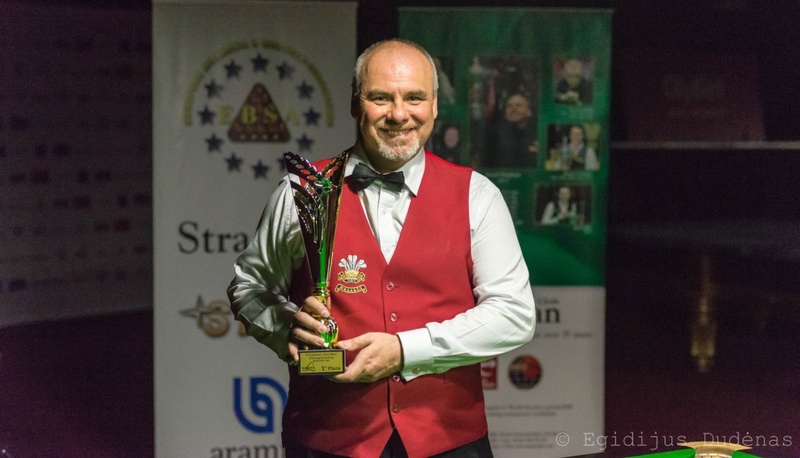 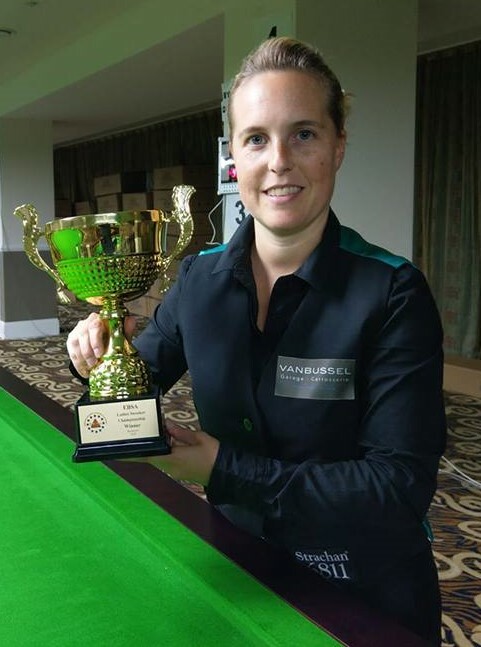 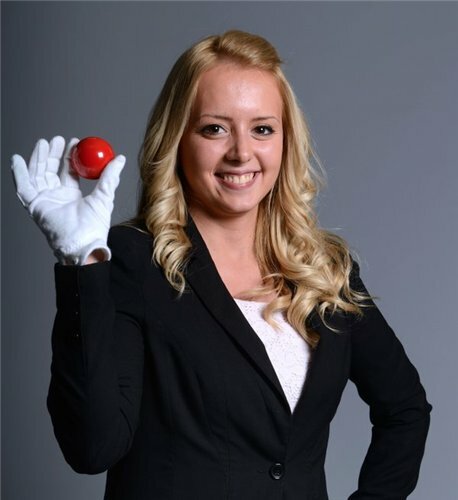 The venue was filled to capacity and both players were introduced to the spectators by EBSA Secretary and Master of ceremonies Simon Smith. 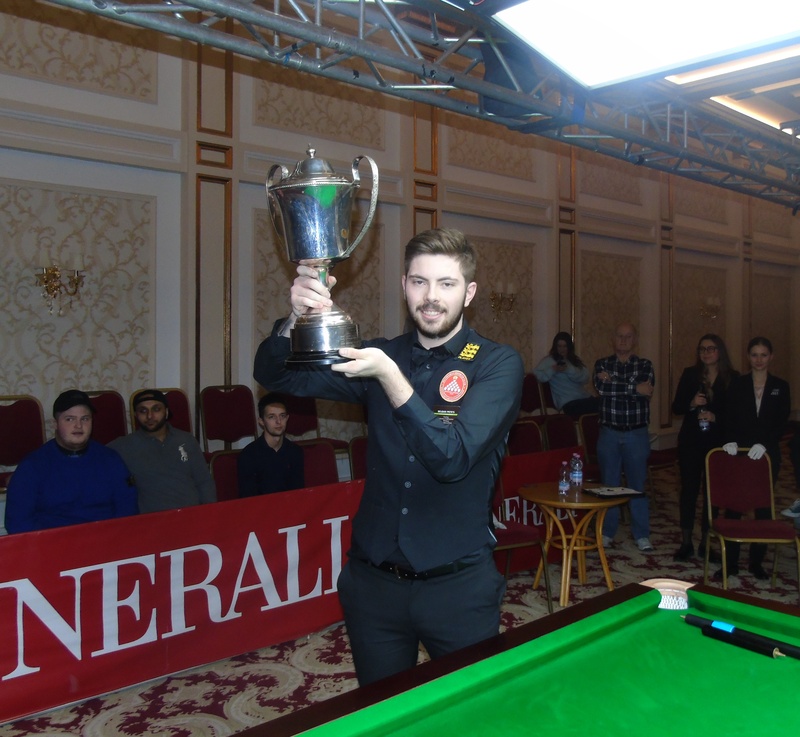 The final was a best of eleven match and expected to be close as both players played exceptional snooker in all their previous matches, but this was not the case as James ran into a four frames to zero lead at the interval outclassing Ashley in all departments. 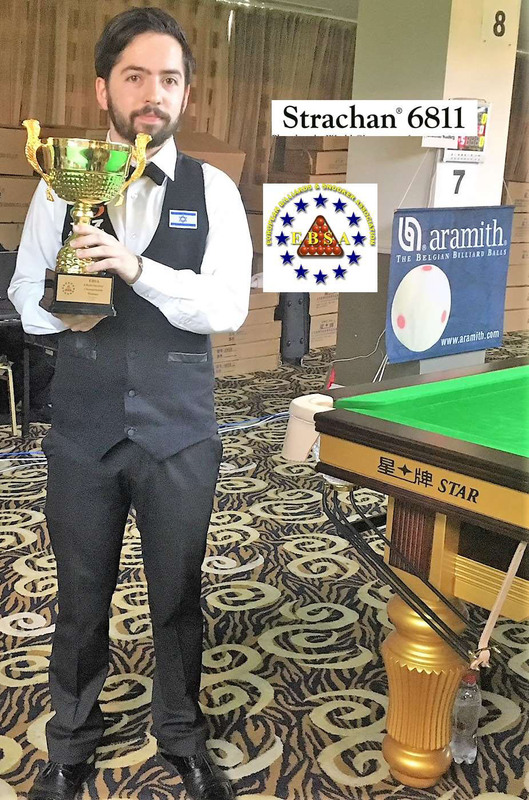 James had breaks of eighty-six and seventy in frames two and four respectively. 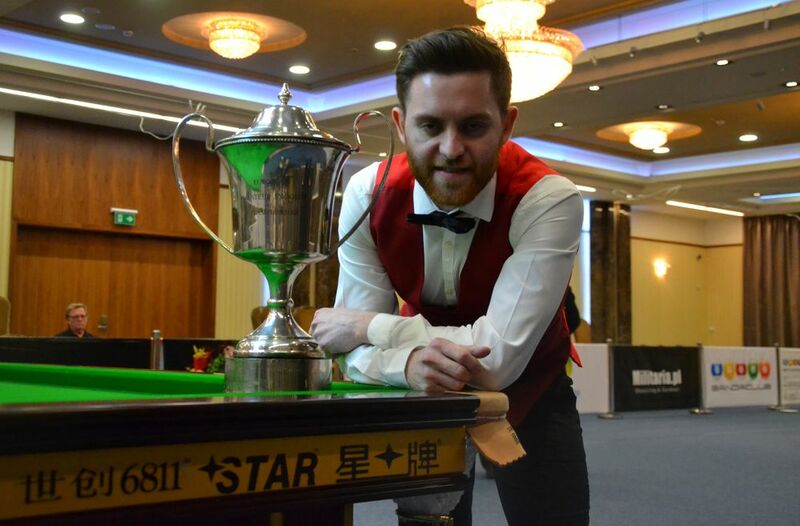 After the interval James resumed where he left off and won the fifth frame. 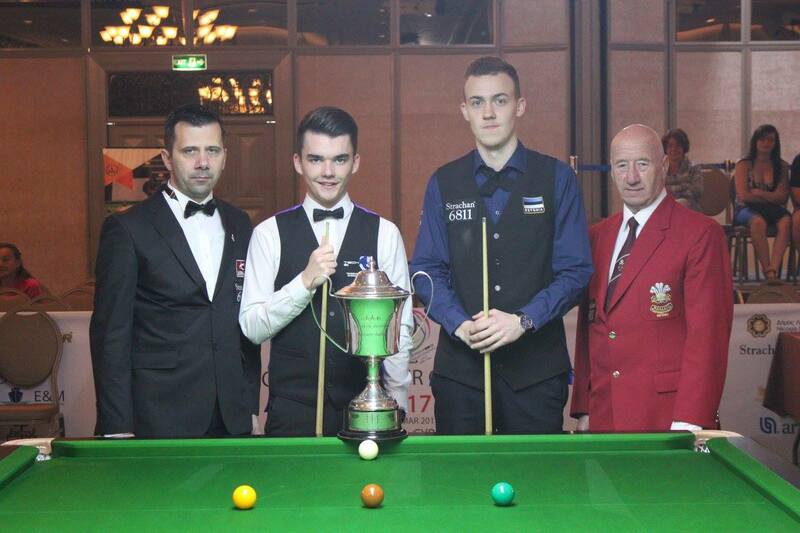 Frame six seen Ashley play his best snooker of the match and it looked like he was going to pull a frame back as he amassed a thirty-eight point lead but James came to the table and made a fifty break to won the frame and match to win by six frames to zero and become the 2013 U-21 EBSA European Champion. 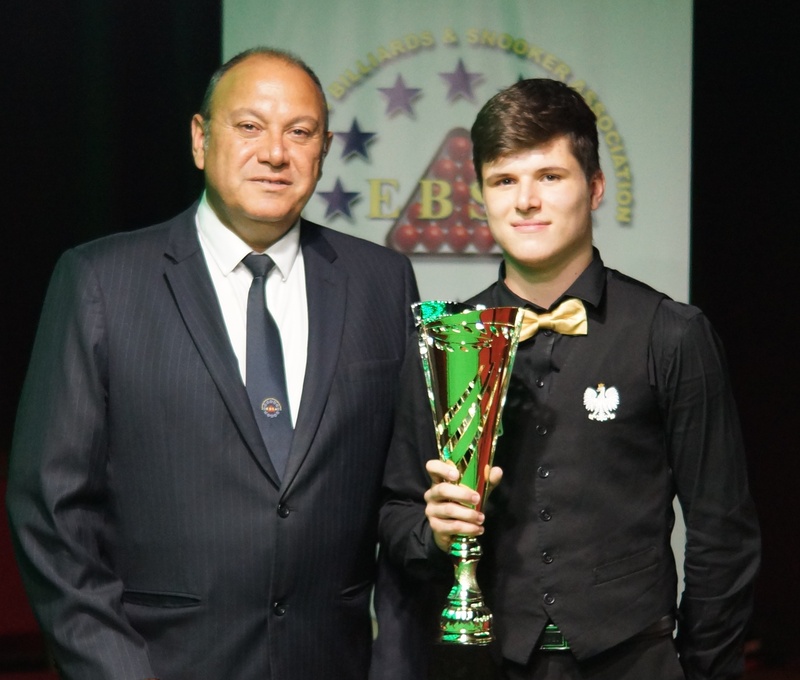 Maxime Cassis Chairman of EBSA presented the prize giving and James received a standing ovation as he accepted the trophy. 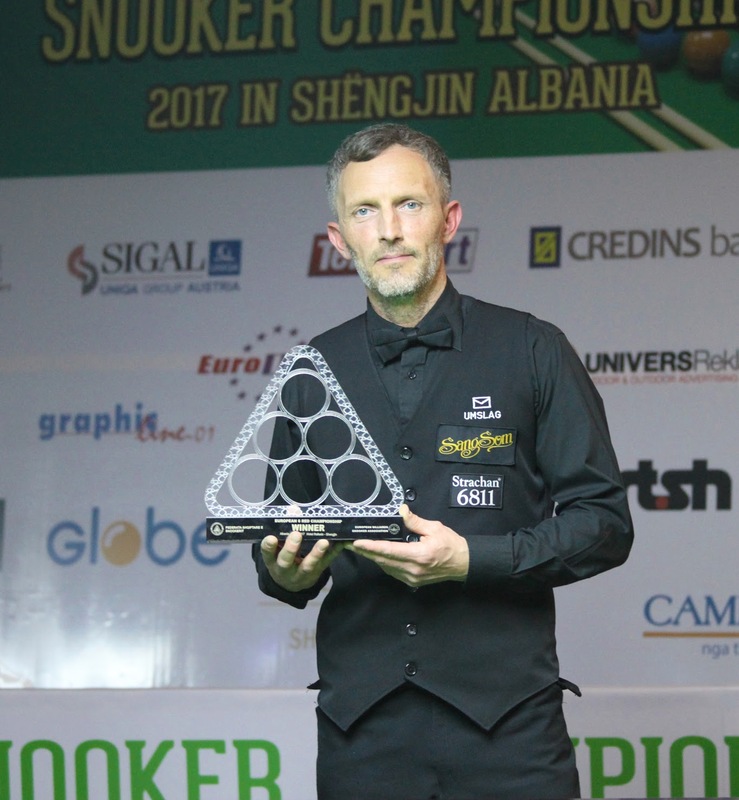 In his acceptance speech James thanked the Serbian Association and EBSA for providing a very well run event. 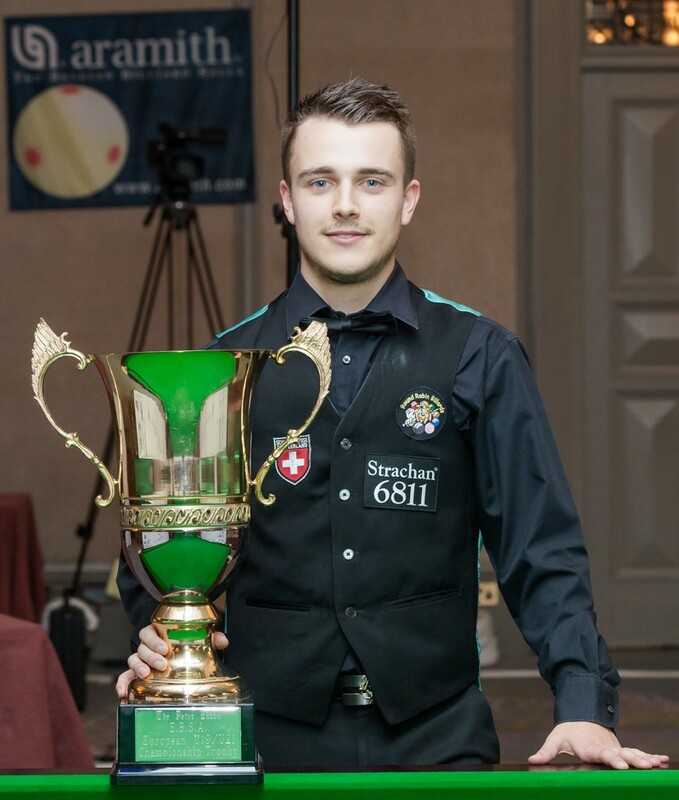 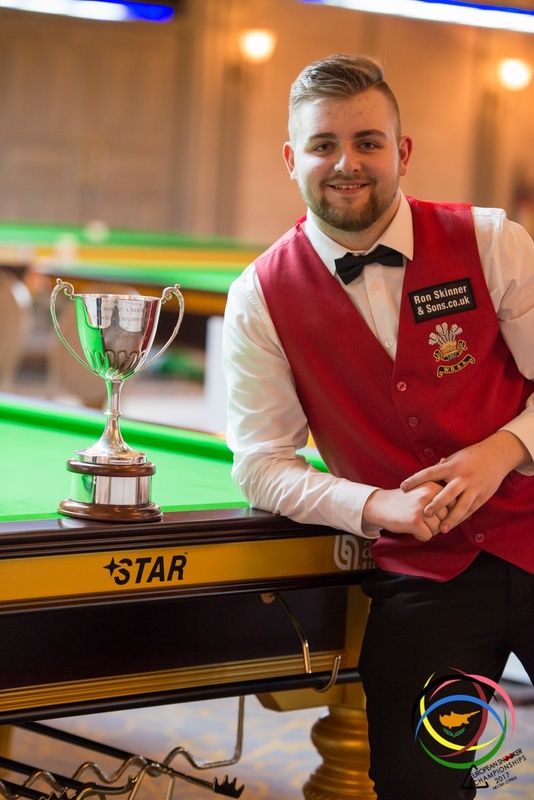 Maxime Cassis the EBSA Chairman has now nominated James to WPBSA to receive a two year professional ticket.